Do People Search for Cannabis, Marijuana, or Weed in Google? Cannabis, marijuana, pot, weed: The terms all generally mean the same thing. So what’s the right way to refer to the plant? Which words are people currently using to search for information? 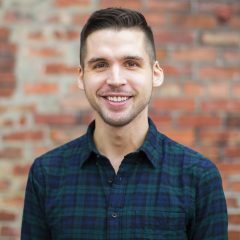 I’m a senior content strategist at Leafly, which means I use trends in online and offline behavior to help inform our writing, editorial calendars, and other channels used to connect to our audience. One of the most interesting things I’m noticing is the evolution of cannabis consumers. They’re getting smarter. And the way they refer to the product is changing. 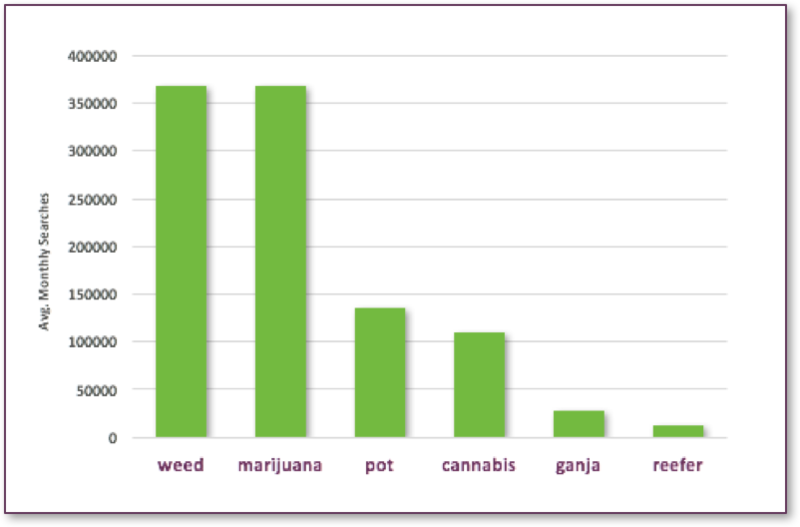 “Marijuana” searches remained relatively stable over the past several years. Meanwhile, “cannabis” searches are trending up. In fact, “cannabis” is expected to surpass the use of “marijuana” within the next few years. “Cannabis” is the more scientifically accurate term, and writers are increasingly recognizing that. 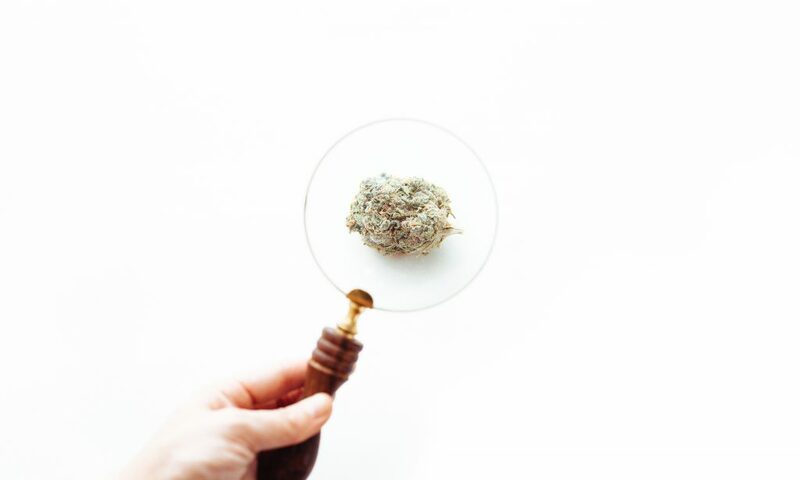 If we’re trying to further establish the legitimacy of the industry, using the word “cannabis” is moving us in the right direction — even if, in the short term, search volume data has yet to catch up. This linguistic evolution is even making its way into legislation. Leafly deputy editor Bruce Barcott recently noted that California’s landmark “Medical Marijuana Regulation and Safety Act” was being renamed the “Medical Cannabis Regulation and Safety Act” — a significant milestone in the change from marijuana to cannabis. Here’s another interesting trend. “Medical marijuana” is still a widely used phrase. But change is coming in that area, too. 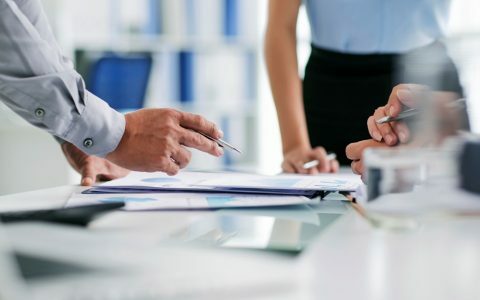 There was an uptick in searches for “medical marijuana” and “medical cannabis” around 2009, when the Drug Enforcement Administration (DEA) announced it would no longer raid state-approved dispensaries — a huge turning point for the industry. What happened next is similar to what we’re currently seeing for “marijuana” and “cannabis” searches. “Medical marijuana” search interest plateaued around the same time. Even though “medical cannabis” still has less search interest right now, it’s slowly trending up and is projected to eventually catch and surpass usage of the other phrase. I saw a similar example of the daily evolution of the vernacular during a recent conversation with Leafly associate editor Ben Adlin. We were discussing an article about Utrecht’s rules on cannabis coffeeshops, and he wondered whether it should be “coffee shop” (two words) or “coffeeshop” (one word). I dug into the data. There are far more searches for “coffee shop” than “coffeeshop,” and it’s generally agreed that the two-word version is correct. However, I noticed in a Wikipedia article about “coffeeshop” that the single-word version is strongly associated it with the Netherlands. 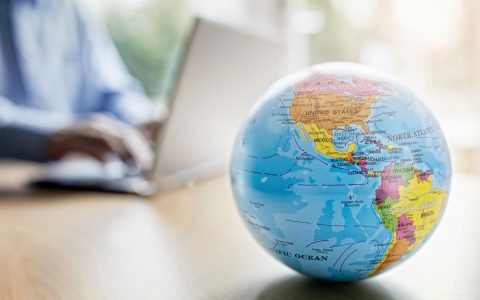 It seems that Google and consumers are starting to differentiate the two variations; two words refer to your local coffee company, and one word references those famous cannabis establishments in Amsterdam. 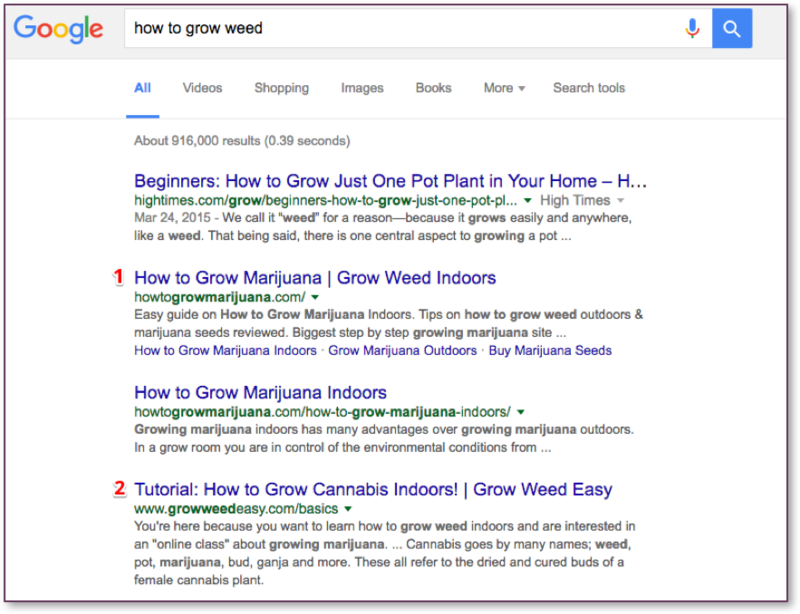 A search for “how to grow weed” is serving a page that primarily uses “marijuana” – it even goes as far as bolding “marijuana” as one of the words from the “weed” search query. While the domain name uses the search query, the Title Tag uses “cannabis” and is being considered an answer to this question in search results. 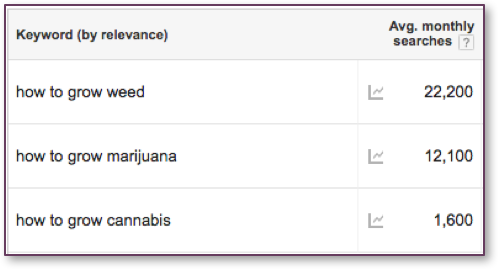 “Marijuana” is also bolded in the Meta Data. What can a cannabis company glean from all this? The times — and the terms — are changing. Be aware that using terms like “weed” or “marijuana” may begin to sound dated as “cannabis” becomes more mainstream. Know your audience. 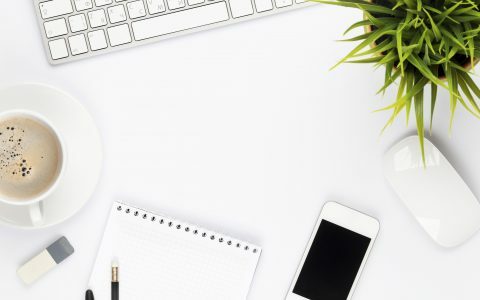 A lot of people still search using the terms “weed” or “marijuana.” If your target audience is particularly prone to using slang terms, communicate to them in their language. Some businesses see “cannabis” as a term with less political baggage. The prohibition era and war on drugs are associated with terms like “dope,” “weed,” and “marijuana” (or the archaic “marihuana”). Using a neutral, science-based name like “cannabis” may help the plant — and the industry — shed the baggage from that era. If you’re trying to stay ahead of trends, review your use of terms both online and offline. That can include websites, menus, conversations with customers, or your cannabis dispensary page on Leafly. 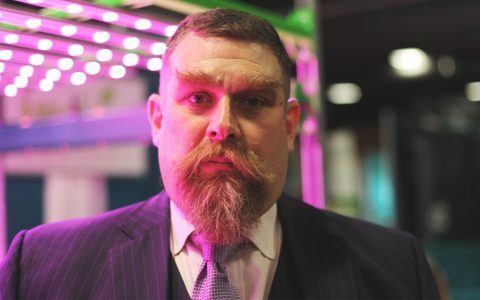 What cannabis industry and/or terminology trends do you predict for the coming months? Tell us in the reader comments below. Everyone in my social circle, circa 1974, used the term, “herb”. And in Canada last month, Health Canada replaced the “Marihuana (note spelling) for Medical Purposes Regulations” with “Access to Cannabis for Medical Purposes Regulations”. Things are slowly moving in the right direction. My great uncle used to call marijuana use “smoking rope.” There’s some really easy to digest (sorry for the pun, brownie-munchers) information on a site called hempethics, created by some Butte college students. 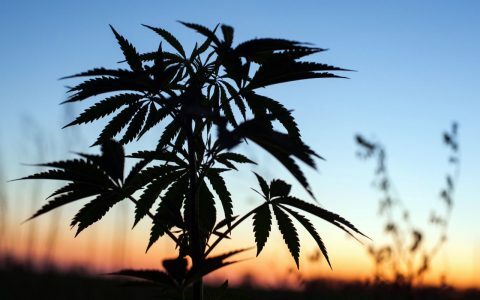 I liked to use the word “hemp,” even though that usually refers to cannabis sativa sativa instead of cannabis sativa indica, because I felt it might help remove sensationalized stigma. But I don’t want to confuse the issues, so maybe I’ll uses the scientific species/strain names, as it could then open dialogue on the issues. I believe that the best universal term for a legal retail recreational marijuana outlet should be simply called: Cannabis Shoppe. The reason being “Shoppe” denotes a friendly old-fashioned store. The double “P” works visually harmonious with the double “N” in cannabis and looks great on signage. The word “Dispensary” is good for medical marijuana outlets, but sounds too sterile and pharmaceutical to be considered in the scope of “recreational” enjoyment. When a tourist asks a “Local” to recommend a marijuana outlet store, I strongly believe it should be universally understood to ask, nearby Cannabis Shoppe? Examples: Walmart Cannabis Shoppe, Bean Town Cannabis Shoppe, The Grin Reefer Cannabis Shoppe, What’s the Buzz? Cannabis Shoppe, Bule & Company Cannabis Shoppe, Blazing New Trails Cannabis Shoppe, etc. Get it? What do you think about my idea? I like it. It is an interesting thought pattern. I think its fantastic! Are the domain names around the idea taken? It has fantastic branding opportunities! Great information David! My friend who owns a dispensary is looking to upgrade his old webstore and has asked me to help him. This article is great start for me. No problem! Keep an eye out on our Industry section because in the next several months we’re trying to release more content like this to help dispensaries/cannabusinesses with their digital performance. As a person who is always on search engines looking for the newest, most interesting articles on cannabis, I’ve found that if I don’t look up “cannabis,” “marijuana,” “medical marijuana,” “medical cannabis,” “weed,” “pot,” and “herb” I will miss some important news and information. Another interesting thing I’ve noticed is that when the terms “weed,” “pot,” and “herb” the news seems to be more about busts and more negative-type news. When I search “cannabis,” “medical marijuana” or “medical marijuana,” I find articles on research, politics and more positive-type news articles. It’s clear that language and wording do matter. And if simply using the term “Cannabis” instead of “marijuana” (or any other name) promotes this incredible, healing plant in a more positive way, then that’s what the cannabis community should do. interesting!! Yes, the term used seems to increasingly influence our perceptions though now I can see its more the tail wagging the dog!! Interesting! When I read this I was thinking of additional take-away from are article. 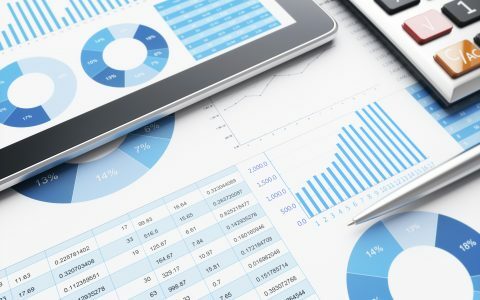 The information in this article also suggests that as consumers are becoming more educated about this category (which naturally will lead to differences in consumer product and service preferences) the more differentiated target markets will become and the greater the opportunities for niche brands! With the right strategy there’s some opportunities out there!! Very intersting article, thank you David! Your information choices and analysis are really interesting! Our collective education about this plant is really increasing! 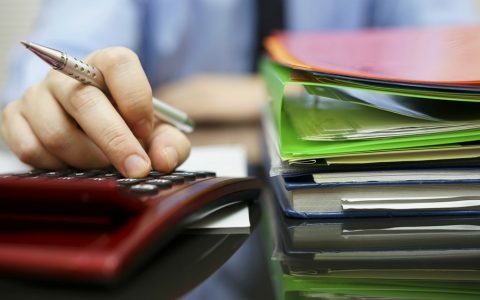 Industry participants, regulators, and consumers, will all benefit! Also, the extent industry niche market opportunities that require educated markets is really becoming a big opportunity internationally! Your international references were also interesting! Thanks again, David! Changing the narrative and taking Marijuana back from it’s racist spin doctor history seems like a more noble mission than trying to distance yourself from it. I hold nothing against the word Cannabis, in fact I like it, but… I think Marijuana is a fun, not dirty word and I don’t want to loose it from our vernacular, maybe just put a new face on it. Thanks for providing the good information.. It’s good one.